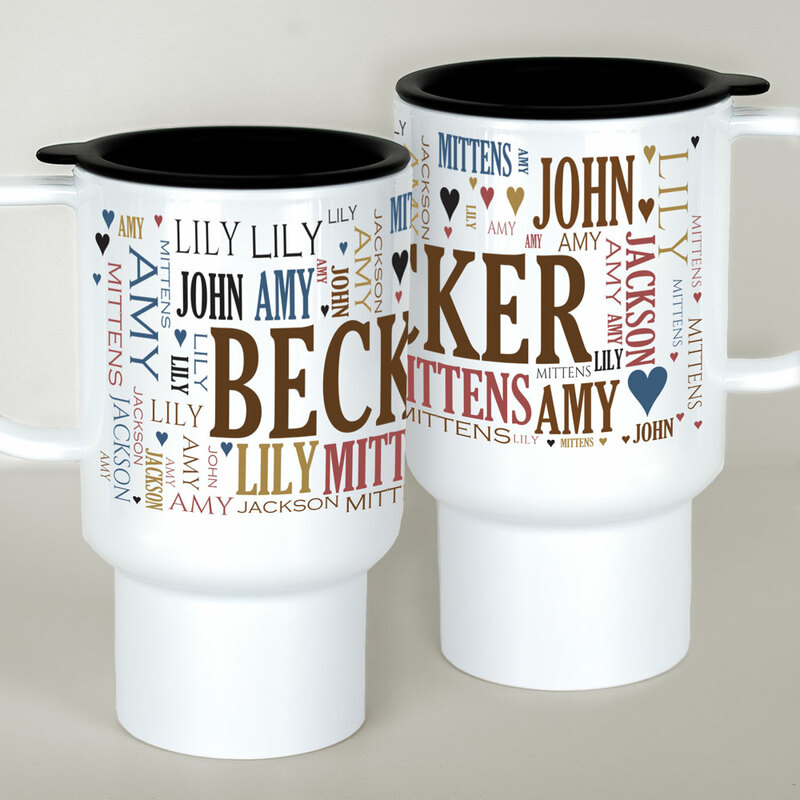 Surprise Mom, Grandma, or any other family member with a personalized word art mug that shows off their inner circle of family members. This design is unique and creative, making it a one of a kind gift coffee lovers will cherish. When you see the Word Cloud Art compilation your like, select the Add To Cart button. This will automatically save your design into your cart. If you would like to see another rendition of your Word-Art compilation simply select the View Your Personalization button again. This will automatically create another version for review. Once you are satisfied with the design, select the Add To Cart button. Love the work, detail, colors and size of cup. Will highly recommend this site for personalized gifts.